GrassSnap makes photo-monitoring a snap! Photo courtesy of Bethany Johnston. •	A ghost image allows users to effortlessly replicate the landscape view each year. •	Pictures are stored in an organized easily downloaded manner with written comments tied to the correct image. •	Applies your pasture name, GPS location, and date to all images. That way the important data is visible every time a photo is viewed or printed. This app is a go-to tool for those enrolled in the Nebraska NRCS CSP grazing management enhancement (PLT02). 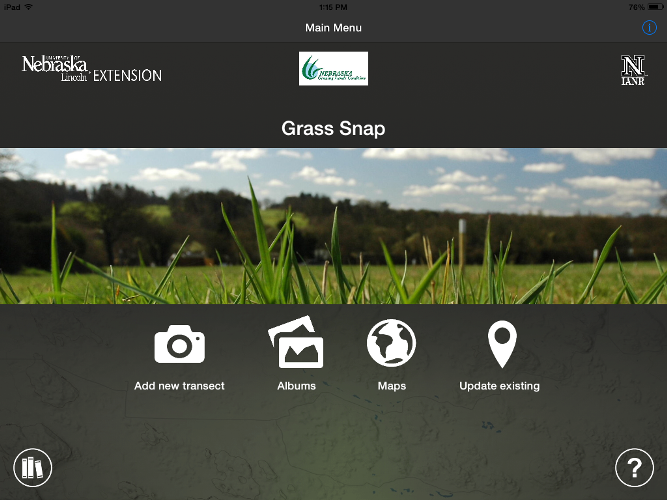 GrassSnap is available for Apple and Droid devices (search GrassSnap). For more information, visit the GrassSnap webpage at http://centralsandhills.unl.edu/grasssnap or contact Bethany Johnston at 308-645-2267 or bjohnston3@unl.edu.